Let's Get Stoned There are plenty of dark corners in the black market, but possibly none so seedy as the stolen rock market. One local freight and shipping company fell victim to the vile schemes of the underground rock scene (see what I did there?) when an employee went rogue on them and stole hundreds of dollars from a local rock quarry for his own personal use. The company found out recently that, back in September, the suspect employee arrived at Martin Marietta rock quarry in northwest Charlotte and said he needed three loads of rock for delivery. The company he worked for, however, never ordered or received the rock, so it can only be assumed that the man sold the rock himself, possibly even putting said rock in the hands of inexperienced children or former rock handlers who have proven they can't be trusted with even a pebble. I'll Trade Ya A woman living in west Charlotte was surprised last week when she went looking for her bike and found that it had been traded away without her permission. The woman was visiting a neighbor down the street and left her $100 MGX bike in the neighbor's front yard while she went inside. When she came back out, she found that someone had stolen the bike. However, the thief at least had the decency to leave behind the $50 Shimano bike they had been presumably riding up to that point. Bombs Away Police filed a report last week after a young student at Mallard Creek Elementary School brought a lighter to school and tried to use it like a grenade. According to the report, the suspect student "flicked the lighter and threw it under the victim's desk." Lighters don't really work that way, however, and no damage was done. Officers noted that it was a non-criminal incident, and the report was filed for documentation purposes only. Diversion 101 Police responded to Finish Line at the Charlotte Premium Outlets last week after a pair working in lockstep robbed the place one afternoon. According to the report, one person entered the business and distracted an associate inside while the other stole money. 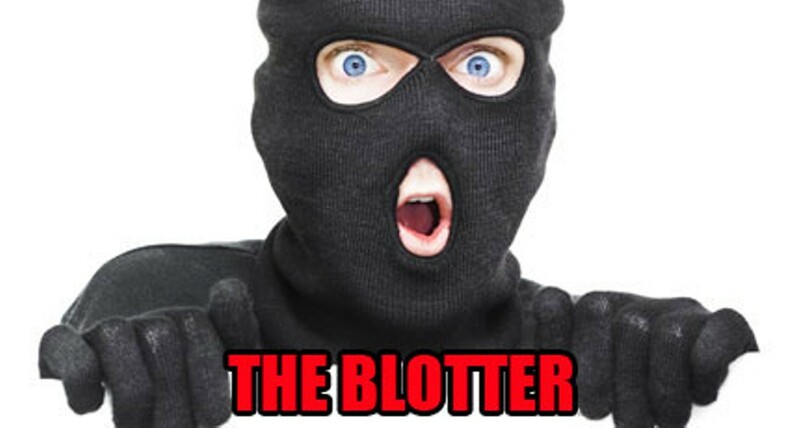 However, the thief did not use the distraction in order to commit some sort of conspicuous shoplifting, but instead was quite flagrant with his crime, snatching $480 out of an employee's hand and fleeing the scene. Needs Sweetener A 45-year-old man's kindness was taken as weakness in an east Charlotte convenience store last week. The man told police he was simply trying to help someone with reaching a product when the person he was helping began arguing with him. The suspect then picked up a can of sugar and launched it at the man, hitting him in the head. The suspect followed up by throwing hot tea on the victim. The victim only suffered minor injuries, according to the report, but it's safe to say that will be the last time he tries to help a stranger with anything. Pay Attention Police responded to Omega Sports on Park Road last week after three suspects ran from the store holding a total of 24 Carolina Panthers jerseys, worth $100 each. In the end, Omega may have come out on top, as they'll surely be repaid through insurance and they probably didn't want some of the merchandise anyway. Let me explain. Of the 24 jerseys stolen, 10 were Luke Kuechly jerseys, five were Greg Olsen, and nine were Kelvin Benjamin. Whoever grabbed the Benjamin jerseys probably had hell to pay with his co-conspirators once they were able to do inventory, as Benjamin had been traded from the Panthers four days before the incident, making his Panthers jersey all but worthless. You Had One Job Police came across some illegal contraband during a random drug raid — ahem, search — at South Mecklenburg High School last week, and the drug-sniffing canine went above and beyond expectations, considering he can also apparently smell sharp weapons. According to the report, a "random canine drug sniff" turned up no drugs, but officers did find one student in possession of a men's razor and several box cutters. Finders Fee A 60-year-old woman recently filed a police report after realizing that someone pretending to do her a favor was really just stealing drugs from her. The woman told police that a friend drove her to a pharmacy on Albemarle Road to pick up her Oxycodone prescription. Wouldn't you know it, the sweet man even offered to go inside and get the medicine for her while she relaxed in the car. However, when the woman got home, she realized that the seal had already been broken and 12 pills were missing from the bottle. When she called the pharmacy, they confirmed that the seal was unbroken when they gave the bottle to the good Samaritan. Priorities Police responded to La Acapulquena on Tuckaseegee Road last week after a desperate suspect broke into the store early one morning and made off with thousands of dollars and some smokes. Police said the man shattered the front window of the business with a hammer just before 1 a.m., then stole $6,000 in cash and checks. Before leaving, he made sure to grab one single pack of cigarettes, as well. Fraudulent Fish Management at 802 Bistro in the Northlake area filed a police report after something came up as fishy in their receipts from recent months. A staffer called and told officers that a customer who had sat down and enjoyed four entire plates of seafood on September 1 had actually paid with a stolen credit card, and the restaurant lost $200 on the deal.